DJ Wild online slot is designed with an intro video of a stadium filled with people as the sun sets in the horizon of Miami city. The moment your private jet touches the ground, you will be picked up by a limo which will take you to a stadium packed with your fans. The retro soundtrack is immersive, and it blends well with the visual graphics and the theme. A famous Stockholm-based DJ created the excellent soundtracks used in the slot and it is available on Spotify just in case you might be interested in listening to it at your free time. DJ Wild video slot is designed to be played across a variety of devices such as mobile phones, tablets, and personal computers. The symbols used in the game are musical, such as a turntable mixer, headphones, table mix, and standard fruit symbols. There are several disco lights on symbols, and they are connected to the beat of the music. The game offers players with the opportunity to up to $170,000 with the expanding wild re-spins. ELK Studios is the company responsible for DJ Wild online video slot. Even though the company is relatively new in the gambling world, it has made a name for developing some of the best slots titles in the mobile market. 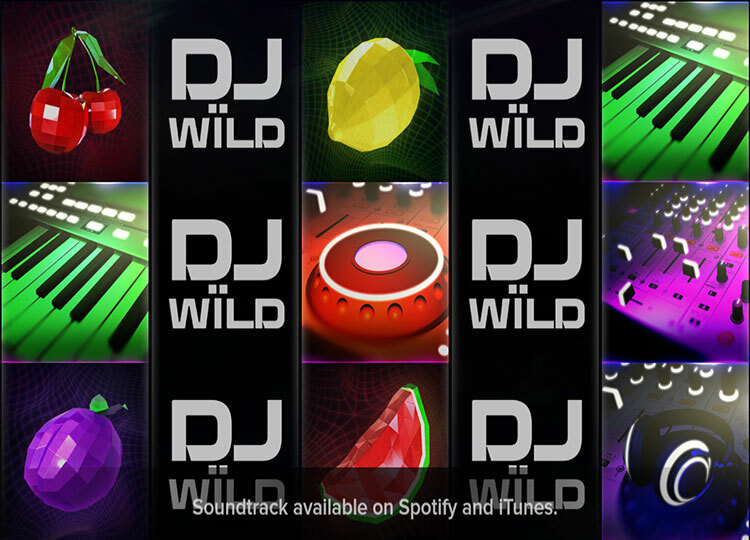 The user interface of DJ Wild slot is sleek and boasts of high-quality graphics and animations. As it is their habit, ELK Studios have tried to make simple and straightforward, making it a good choice for both beginners and experienced slots players. There is an autoplay button on the layout which allows you to bet anywhere from 10 to 100 spins. At the bottom left corner, you will find a button that leads you to the bet level window. This window carries important information including strategies like optimizer, leveler, booster, and jumper. Winnings are awarded from left to right and vice versa. The DJ Wild slot has a modern look. Unlike other video slots from ELK Studios, the Spin or Start button in this game is a clear button located at the bottom right-hand corner of the screen. Players can place bets ranging between $0.25 up to $100 and a coin size range of between $0.25 up to $1. As mentioned earlier, their betting strategies have been included to boost your ways of winning bigger prizes. Here are the primary strategy and the unique features they bring to the game. Optimizer: it will change your stake level automatically based on the percentage of your account balance ( 1% up to 10%). Leveler: it will increase your bet stage when you don't win five spins in a row. Booster: it will increase your degree after every lost spin until level four before it resets. It does the same after a win. Jumper: it increases the bet level after every winning spin round until it reaches the fourth before resetting. The exciting thing about using the betting strategies is that your wager will increase everytime you lose. All the Wild logo symbols in the game can expand to activate the Respin Bonus Game in DJ Wild video slot. The more symbols you manage to collect, the higher the number of re-spins. Also, it can substitute for any other symbols in the game to complete wins. If the Wild Jackpot feature appears in the game, you will be rewarded with a Jackpot of $1000 coins. Jackpot Wild: landing the wild jackpot symbol on the middle reels will reward you with a jackpot worth 50000. DJ Wild: Any symbol can activate the re-spin bonus game to expand on other symbols. There are five Wildcards in DJ Wild video slot; smoke, fire, confetti, Lazar, and strobe. This exciting video slot is developed with the latest technology to enable it to run on different gaming platforms like computers, smartphones, and desktops. The graphics and sound effects are fully optimized to maintain the thrilling and fun of the game. 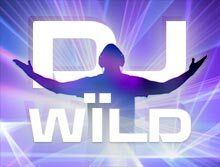 If you are looking forward to playing a slot game with a unique party theme, DJ Wild from ELK Studios is the best option there is. The game symbols are rhythmical to the retro beats, and the wilds to have matching effects. The gameplay is simple, and we recommend it to both rookies and experienced slots lovers.